Are you a federal employee or military member who participates in the Thrift Savings Plan? 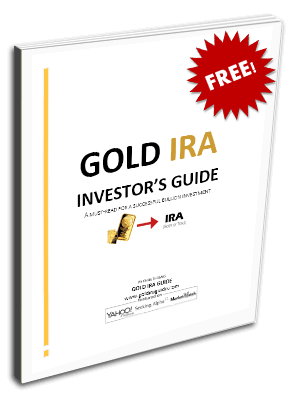 Have you ever wondered if you can invest in recession-proof physical gold or silver bullion (and other investment-grade metals) with your TSP? Here, we’ll go in details over TSP accounts, their investment limitations in regards to precious metals, and how you can safeguard your retirement assets against economic calamity. The Basisc – What is a TSP Plan? The United States government offers a unique type of defined contribution retirement plan to its employees and to members of the various branches of the armed services. Through the Federal Employees’ Retirement System Act of 1986 (FERS), Congress established the TSP as a 401(k)-style alternative to public workers. Technically speaking, the TSP forms one of the three parts of any FERS package, along with FERS annuities and Social Security. Much like with a 401(k), employee participants in a TSP plan are able to defer money from their paychecks into a retirement investment account. There are even possibilities for match programs from the federal government. Once contributed, those assets are placed into the Thrift Savings Fund, which is managed by the Federal Retirement Thrift Investment Board. There are five executive members of this board, each of which is directly appointed by the President of the United States. Employees or military members who contribute to a TSP account have very limited investment options, although they can mix and match between each option as they see fit. The Thrift Savings Fund is made up of ten investment funds, and the six most significant are called the G, F, C, S, I and L funds. These funds are created with mutual fund portfolios organized based on varying levels of risk. You cannot hold individual securities through the TSP. Retirement savers who leave their federal post are eligible to either keep their money with the TSP (though they may not make any further contributions) or roll over their investments into another qualified employer plan or an IRA. When you receive funds from your TSP for a rollover, which can take several weeks from the time you submit your request, you have 60 days to complete the process. If you fail to do this, the IRS will treat your money as a taxable distribution. You cannot use the cash from your distribution to purchase investments in the period in between receiving your TSP distribution and establishing your IRA. Tax rules from TSP rollovers can be complicated, and you should consult a tax advisor prior to attempting a rollover. It is advised that you select the option to perform a “direct rollover” with your TSP funds. In a direct rollover, you never receive a check for your distribution; rather, your TSP plan provider will transfer the money directly into you new IRA plan. Here is a table that illustrates how a TSP account compares to other similar retirement vehicles. TSP accounts are limited to investing in the ten separate TSP funds only. Some of these funds directly track individual market indexes, while the others are called “lifecycle funds” that are made up of stock/bond splits that change as the investor ages. If you choose to not actively manage your account, 100% of your money will be placed towards the “G” fund. In short, this means that you cannot invest in physical gold bullion (or any other precious metal) through a TSP Plan. In fact, you cannot even directly purchase the stocks or mutual fund shares that hold stocks of gold mining companies (buying “paper gold”). Among possible retirement account options, TSPs are among the most restrictive and provide the least exposure to precious metals. Cost of Production Risk – mining equipment depreciation, increased land values, and labor costs can all negatively impact a mining company. Fiat Currency Risk – when you sell securities like gold stock or shares of a gold mutual fund, you will be paid in a fiat currency. That means that, in the event of currency collapse, you can be left holding worthless paper. If you have left your federal post, consider rolling over some or part of your TSP funds into special kind of retirement account called a “self-directed IRA.” The advantage of rolling over your TSP Plan assets into a self-directed IRA is that you are able to control the designation of your retirement funds and open up new tax-free investments – like precious metals. In an employer-funded retirement plan, such as a TSP, your investment options are more limited than with a precious metals IRA. Not only are your choices limited in the Thrift Savings Plan, but even decisions about when to change your portfolio are restricted. In terms of flexibility, the self-directed IRA wins hands down. You've worked for the government and invested a portion of your retirement into a thrift savings plan (TSP), you need to read this report. The geopolitical landscape has changed drastically in the past few years and what seemed like a good idea 10 years ago isn't necessarily the case today. What many investors don't realize is that TSP's have very limited options and the government has 100% control over your savings with such as a retirement vehicle. If you're worried about the economy and want to learn tips on how to protect your retirement savings in case of another systemic collapse, this PDF report is a must have. Click here to request your free copy today.